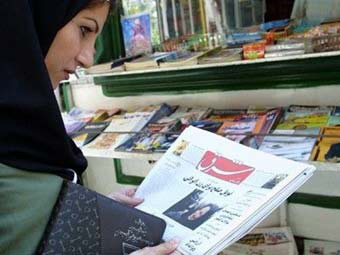 Gum province has potential to produce a million of copies of transnational newspaper, Iran's deputy minister of culture Mohammad Ali Ramin said, FARS news agency reported. He said the newspaper should be published with further distribution at different world languages. "The Islamic Republic of Iran needs for publication of million copies of transnational newspaper for Muslims," Ali Ramin said at a meeting with the province's figures of culture. He said that Gum has great potential for activity in the sphere of culture. This potential should be used in all spheres. Gum city is a center of the province, located to the south of Iran's Tehran province. Scientific and religious seminary is located in Gum city. Students from different regions of the world gather in the city to receive religious education.